Greg Curry (48) is a prisoner in the Ohio State Penitentiary, the supermax facility in that state, serving a life sentence following a major disturbance in the Southern Ohio Correctional Facility (SOCF), in Lucasville, OH. This disturbance, or riot, uprising, started exactly 20 years ago, on April 11th, 1993, after the warden (Arthur Tate) at that time had installed a very strict regime with no possibility for any discussion or negotiation of the rules, nor any respect for those in prison. One of the important issues for Muslim prisoners was that the mandatory TBC-tests were done using alcohol (phenol) under the skin, which they refused. There was no discussion possible with the warden to use alternative means of testing. This attitude of not listening to the serious concerns of a group of religious prisoners was the ultimate of many unnecessarily strict rules imposed that led to the uprising. For more information: see here and here. I’ve been in contact with the people who were convicted after the disturbance had ended, and one big reason why the story of “Lucasville” has to be told again and again is because not only has this tragic desperate uprising led to 10 deaths, but 5 men are still on death row and many more have been given lengthy sentences, and in the cases of those convicted or condemned to death, informants were used to testify against other prisoners. Sometimes, it became clear that someone had committed a murder and had admitted to it, yet someone else who went to trial to prove his innocence was found guilty of the same murder. (see for instance the 7 essays Staughton Lynd has written over the past year reflecting on the 20th anniversary of the Lucasville Uprising here: https://justiceforlucasvilleprisoners.wordpress.com/re-examining-the-lucasville-uprising-essays-by-staughton-lynd/). Many other injustices have happened after the uprising ended and should be set right, even if it is 20 years later. Building a supermax has turned out to be one thing politicians and prisoncrats wanted in the 1990s, and a riot was all that was needed to get their way… It is rather a shame that there has been no public or political outcry about the many injustices that have happened following “Lucasville.” A general amnesty for all involved, like what happened after “Attica,” would be a graceful, albeit a late, but just way to give back justice to those who were denied this after the siege had ended. So you were not with the Muslims or affiliated with a prison gang? G.: No, I was not part of any prison group or religion pre 1993. Most of the guys charged I had not even seen before. 2) A.: Greg, why did the prosecution or those investigating the riot turn to you? Do you have any clue? Did anyone mention your name? G.: Most people knew me and Keith LaMar was close friends, brothers even, so the assumption would be natural that we’re together or have each other’s back. Some guys in LaMar’s block where these murders took place (apparently) blamed him and his friends, all in face mask by the way. So that started a process of founding “LaMar’s friends,” and once I was interviewed by the investigators, I was told “you or LaMar going to death row.” I told them I didn’t know anything and have no reason to blame LaMar for anything either. Some guys had previous problems with LaMar and evidence suggested that they would be charged for murders (Lou Jones, Ant Walker, Donald Cassell), so they needed to “perform” to get paroles and no charges on themselves. Once LaMar’s “friends’” names were discovered, the investigators started giving these to their inmate conspirators (“snitched”) and those inmates repeated the lies. When you put most anyone up against anyone else, most people will save self, lying is only a minor detail, I was given an opportunity to “save myself” but I didn’t do anything or know anything worthy of needing saving from. How ironic that not knowing, not being involved, would put me at greater risk than had I committed a crime. 3) A.: This snitching by other inmates, this was encouraged by the prosecutors? Did the prisoners get anything out of snitching, which I gather means lying in court? Were they themselves involved maybe? G.: Yes, the investigators that were state police and the prosecutors encouraged, created a narrative for the inmate conspirators (“snitches”) that wrapped up all “loose” ends and allowed different juries in different courts to convict different people for the exact same crime, so that 4 to 5 people individually are convicted for each murder. Those “snitches” were then given parole or no charges. In Lou Jones’ case, he admitted being on this so-called “death squad” yet he was not charged with anything and got a parole. 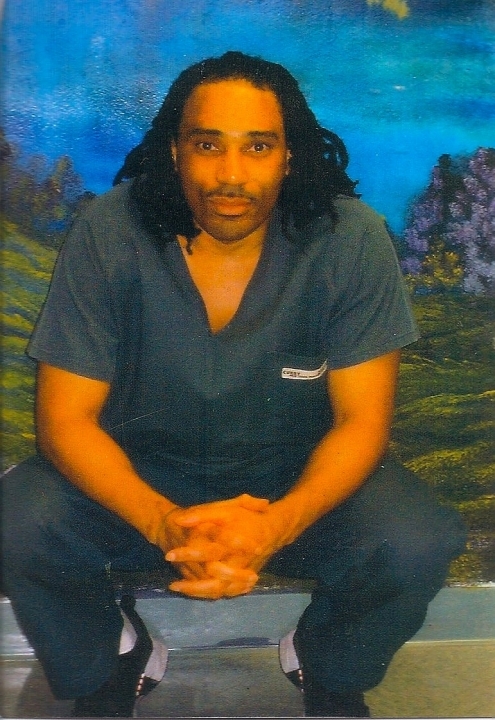 To clarify the commonly used term “snitching” I prefer the inmate conspirators’ term, yes they helped get us divided, which in America is an easy task and then the heavy burden of being poor, Black, male, convicted felon, in a totally opposite rural community on trial makes you truly vulnerable to conviction. 4) A.: You say on the website that deals are part of the law in Ohio, but that the jurors have to know about the deals. In your case, the jurors clearly did not know, but the prosecution and the lying inmates did know about the fabrication of the case against you. In other words, they knew about a deal, but it was not disclosed in court? And the judge? Did he/she know? What about Beckett v Haviland US App 6th cir? “By law if there were deals they would have to be disclosed,” in response to my Jurors inquiry, so that convinced my Jury it was no deals when in fact it was, and the inmates and prosecutors covered it up. While my defense was based on my innocence and these inmates’ deals. Beckett v. Haviland is just the latest in a long list of case law that clearly states this practice to be so out of bounds that the only remedy, and I quote: “The only remedy is a new trial.” (see here with attached document of Beckett v. Haviland). Thus far the judicial system has hid behind “procedural” walls to deny me a court hearing. The courts claim it’s too late to seek justice! Can you believe that crap from a world leader in telling other countries what justice is?! 5) A.: What were you charged with and did you know those testifying against you? What happened to them? G.: I was indicted for two aggravated murders, found guilty of one and guilty on the other of attempted aggravated murder. All those who testified against me received deals ranging from paroles to lower security, to choice cellmates. 6) A.: Greg, it is 20 years now since that ordeal, what is the situation now for your case, and how can we support you? G.: The courts are merely a reflection of a society that “don’t wanna know,” so until people become aware and demand mainstream media look into it and the media asks questions of lawyers and pastors and civil rights leaders, then it will be 20 years more. Our fight at present is to make people aware, skeptic or not. Just look into it. Our supporters hold rallies and events that cost money so even if you can’t physically come out, help with money. Donations help. E-mail, blast the websites, get to know us. Just don’t ignore this anymore. It’s been 20 years. 7) A.: Is there anything else you need us to know right now?